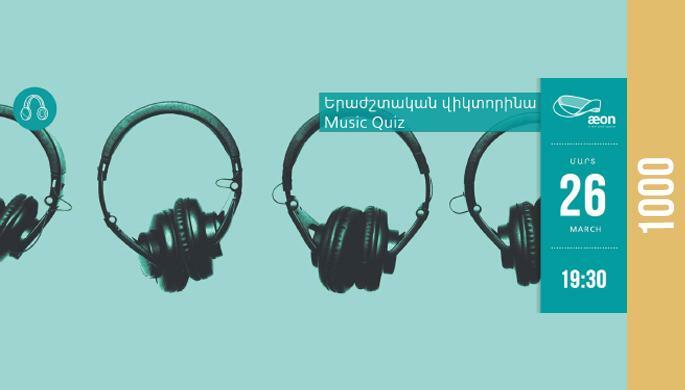 On 26th of March, 19:30, we will play our music quiz again! If you have often been told you are a walking Shazam, if you love music of different periods and styles then form a group with your friends and come to AEON to guess songs (and not only) together and have nice time. The quiz consists of several rounds. The teams should be made of 1-4 participants. The winners will receive cool gifts from AEON. Let's see who will be winner this time! Entrance: 1000 AMD (including tea, coffee, cookies).